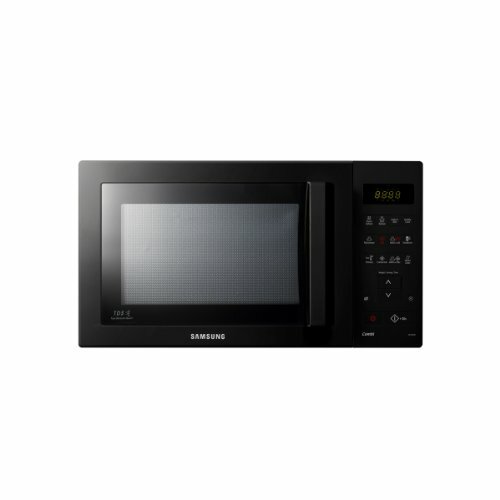 The Samsung CE107VB is a black combination microwave, with 28 litre capacity and 900w of power. 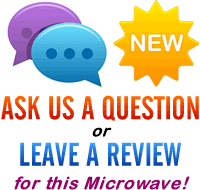 Good value for money, looks smart and works well Mainly made from plastic - those who would like a stainless steel microwave will need to increase their budget. Finished in black, and offering 28 litres of capacity is the Samsung CE107VB combi microwave. It provides a 900w microwave function, 1250w grill facility and 2050w convection oven mode, and priced at around the £115 mark, it is both versatile and offers good value for money. It's black finish should fit in with the majority of kitchens - it's mainly plastic construction helps keep the cost down. Both the door and handle are made from plastic - it feels fairly sturdy, and should last. Inside, the turntable measures approximately 32cm, and so should accommodate the majority of plates. The digital LCD display is clear to read, with bright green lettering on a black background - no issues here. Overall the buttons are quite well labelled, with both an icon and lettering to identify which button operates which function. Overall it performed well - fairly quiet in use, and cooked food evenly. It offers very good value, and although it is not constructed of particularly expensive materials, it should provide years of use. Overall we can't really fault this Samsung microwave - the CE107VB is a decent size, is made by a reliable manufacturer, and provides microwave, grill and convection oven functions all for under £120.